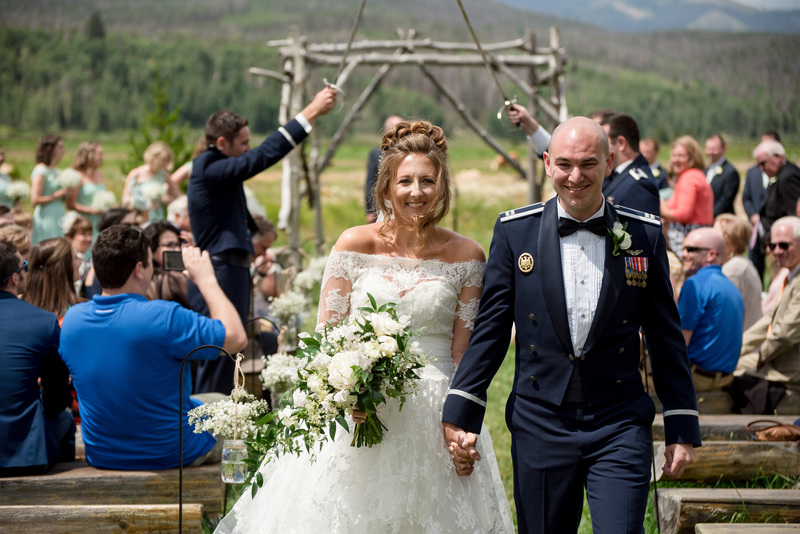 Melissa had fallen in love with Mike, who was in the United States Air Force and they were to wed in an outdoor ceremony on a ranch in Colorado. 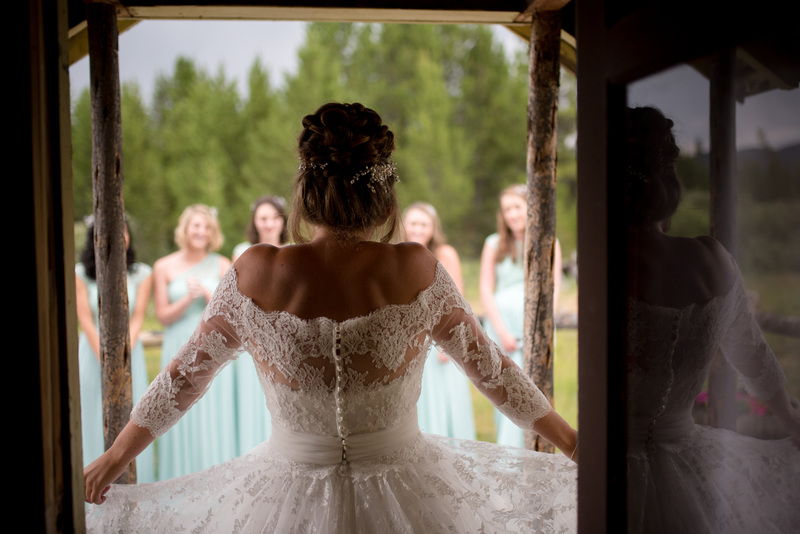 Melissa was wearing her cowboy boots for the ceremony and we loved the contrast between the leather boots and the soft delicate French lace of her Cymbeline dress. 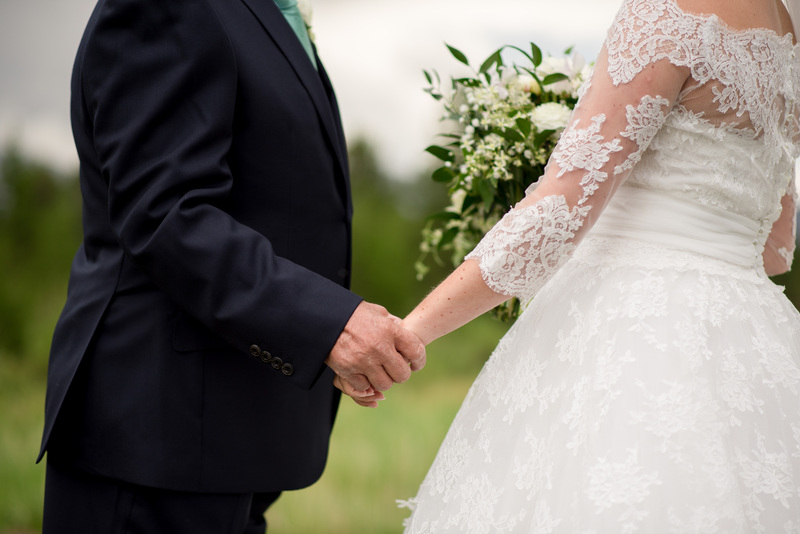 Melissa’s dress has a matching bolero to enable her to wear this for the day but then change her look in the evening by taking off the jacket for the party. The moment Melissa’s girls saw her dress! Congratulations Mr & Mrs Cannioto!